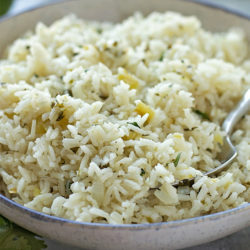 If you love Chipotle’s or Cafe Rio’s cilantro lime rice, you’ll love this EASY homemade version. 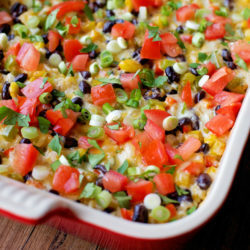 It’s fragrant and flavorful- the perfect side dish! 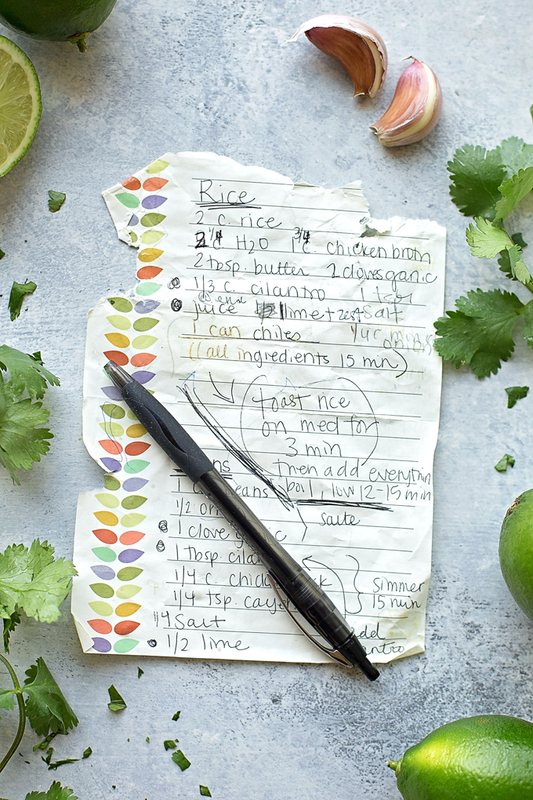 While I’m a huge fan of spanish rice, cilantro lime rice is one of my favorite side dishes to make, especially when we’re having carnitas! This recipe is really easy to throw together, you only need about 5 minutes to prep it. It always turns out SOOO flavorful, which is why we absolutely adore it. 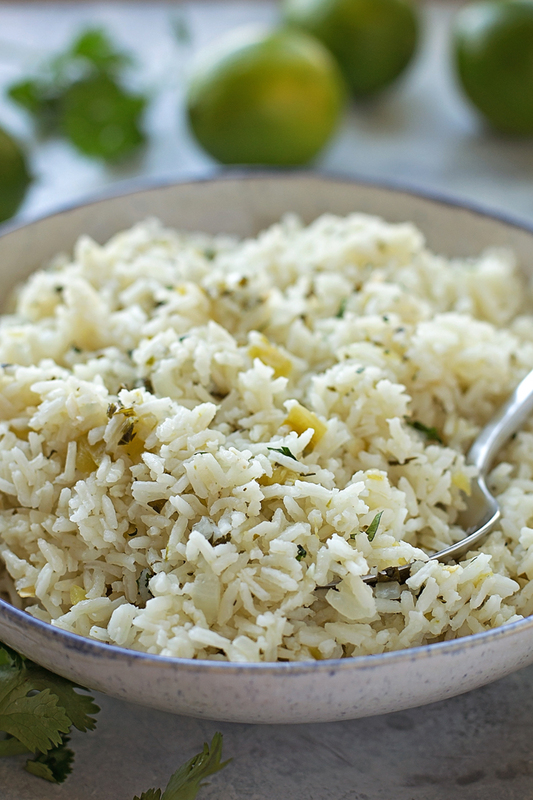 If you love cilantro & lime, this rice is for you! You start by rinsing the rice in cold water. Whaaat?! 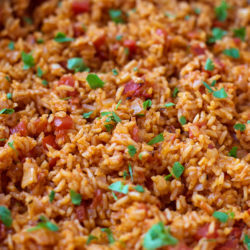 It helps reduce the amount of starch in the rice, which means the rice won’t end up mushy. We all want that, right? Then you’ll saute the onion and garlic in butter or oil. Either works. Next, add the water, chicken broth (more flavor), diced green chilies (secret ingredient), cilantro, and salt. After about 15 minutes on the stovetop, the rice should be cooked to perfection. All that’s left to do is stir in the lime juice & zest. Cover and let it rest, then serve it up while piping hot! This recipe is one we’ll make for years & years to come. It’s a family favorite! 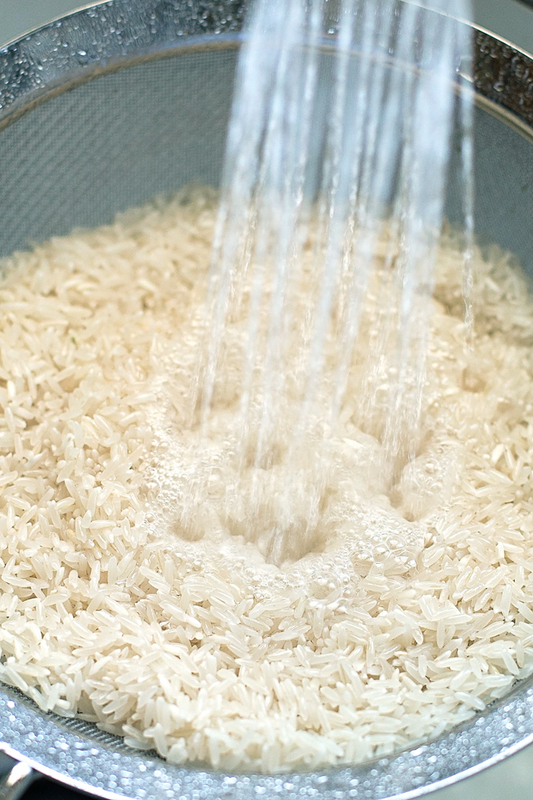 Place rice in a mesh sieve and rinse under cold water for 1 minute. Meanwhile, place a heavy bottom skillet or Dutch oven over medium heat. Heat oil or butter. Shake rice to remove as much moisture as possible. Pour into hot pan and spread into an even layer. Toast for about a minute and a half, stir, spread evenly, then toast for an additional minute and a half. Add onion and garlic, cook for 1-2 minutes, stirring frequently. Pour in water, broth, chiles, cilantro and salt. Bring mixture to a boil. 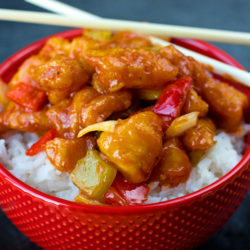 Reduce, cover, and simmer for 13-15 minutes or until the rice is cooked throughout. Remove from heat, add the juice of 2 limes and zest of one, cover and rest for 5 minutes before serving. 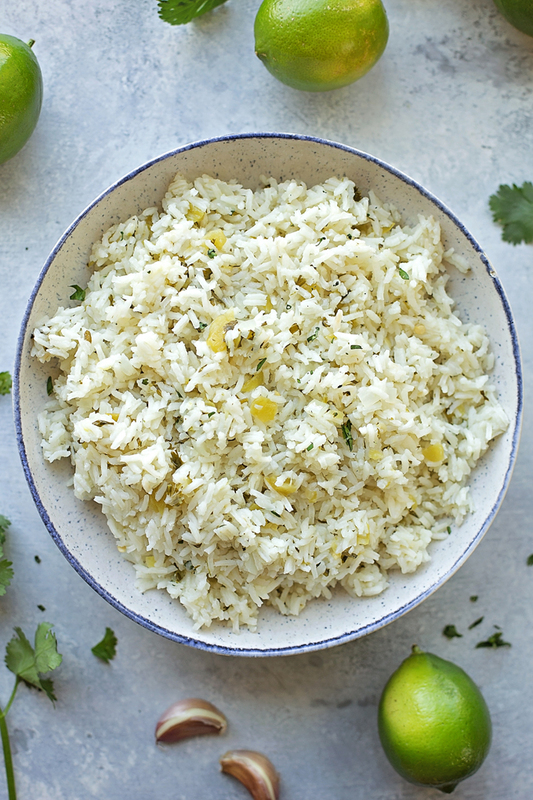 Does it matter what white rice you use? ie: long grain, jasmine….etc. Any medium grain white rice will do. hey girl- I would sooo love this! yummy!